For anyone watching the end of the Jacksonville-Tennessee game last night, the timeouts called by Jags head coach Jack Del Rio as the clock ran down on a game that his team trailed by three scores in looked to be a case of prolonging the misery of his over-matched club. There’s something to be said for playing to the last whistle and never giving up, but anyone watching already knew that nothing was bringing Jacksonville back. The timeouts were definitely strange — and today we know why. According to Titans coach Jeff Fisher, the decision by Del Rio to call the timeouts was influenced by a request from ESPN for the coach to do so. 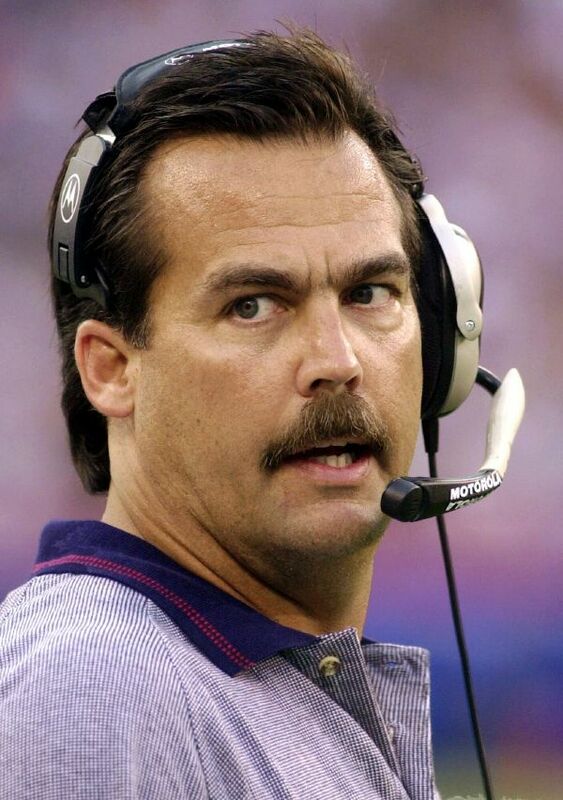 Fisher also claimed that the network requested that he do the same (presumably to allow more time for commercials to run), a request that Fisher denied; as he well knew, calling multiple timeouts in a game where his team was up by three TD’s would have been ridiculous — though, it wouldn’t have been much more so than what apparently actually did happen. If Fisher’s claims are true — and frankly, there isn’t much reason to think they aren’t — then ESPN’s blatant interference in the way the events of a game unfolded (even one in which the outcome was already a foregone conclusion) is a major black eye for the network, Del Rio (for pandering to them), and the NFL (if they don’t take some action against ESPN or to prevent this from happening ever again). It’s not surprising considering how ESPN has interjected themselves into stories over recent years (i.e. “The [Ridiculous] Decision”). And it makes Matt Millen and company’s rambling hyperbole at the end of the game regarding the NFL’s new stance on flagrant hits hypocritical and laughable. In the future, if ESPN wants to address issues that might affect the sanctity of the game of football, maybe they should turn their own high-powered microscope onto themselves first. UPDATE: Reports have come out that ESPN has denied that they requested Del Rio or Fisher to take timeouts at the end of the game. What a shock (sarcasm). It’s not like any of the parties would actually admit to it if it’s true. Since I had a busy schedule for the entire weekend, my posting on Friday had to be pushed back until today — in addition, since my schedule is still pretty hectic for the next couple of days, today’s wrap-up is going to be briefer than normal, with a lot of short points rather than lengthier diatribes. However, if time ends up allowing it after all, I’ll try to have something lengthier up later on — in the television world, I believe they would call that “bonus coverage”. Or something like that. But I wouldn’t necessarily count on it — I’m headed into the time of year when I’m preparing heavily for two main things: the plethora of fantasy baseball drafts I participate in, and arrival of several guests from out of town for the main one of those drafts. Which means I have a brief vacation coming ahead — but not starting until next week — but it doesn’t mean we won’t have some great content upcoming as well. I’ll have my second annual diary of the NCAA Tournament coming up on Thursday, and my notes on the upcoming fantasy baseball season will be arriving sometime around three weeks from now, just in time for the start of the season. But in the interim, here comes my bullet point presentation on the weekend (and week) that was. So without further ado, let’s get on with it, shall we? 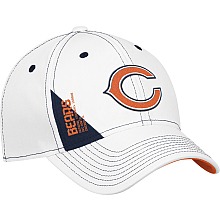 — Lo and behold, the Chicago Bears apparently have an officially licensed NFL draft hat? Don’t you actually need draft picks for that to come in handy? Maybe I can get Jay Cutler to autograph one for me — I’m sure that will make up for the lack of any activity during the first day of the draft for my beloved Bears. In other NFL news, there has been a flurry of other activity around the league. In one of those moves, LaDainian Tomlinson has signed a two-year contract with the Jets, apparently to fill the role the departed Thomas Jones had with the team. Unfortunately for New York, LT has lost a lot of tread off of the tires, and the likelihood of his making a positive impact with the team at 31 years of age and with nearly 3000 career carries isn’t good. It’s much more likely that he’ll be taking away carries that should be going to the explosive Shonn Greene, which won’t help the Jets at all. Meanwhile, Brady Quinn has been dealt to Denver in exchange for — well, not much of anything really. Quinn never really got a chance to do anything in Cleveland, but he should at least be given an opportunity to compete for the starting job in Denver. Of course, I’m not really sure it says much about your upside when Mike Holmgrem thinks that a washed-up, turnover machine like Jake Delhomme is a better option than you are. — Instead of watching the draft, what I plan on doing is trying to catch up (before I fall behind) with the new WWII television series on HBO, The Pacific, which premiered last night. The miniseries — which will run for ten hour-long episodes — is from some of the people who brought the critically acclaimed Band of Brothers to the small screen. While Band focused on the European theater, The Pacific follows the action in the Pacific theater and the war waged against Japan. 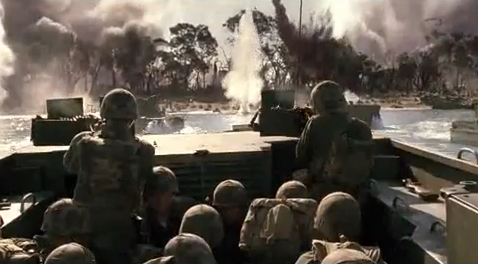 If it’s anything as good as Band of Brothers, The Pacific will be well worth watching this spring and summer on HBO. — Another good piece of television I’ve been watching for the last several weeks has been The World At War, airing on Friday nights (and repeated at other various times) on the Military Channel. The World at War is a documentary originally run on ITV (a public service network in Great Britain) in 1973. 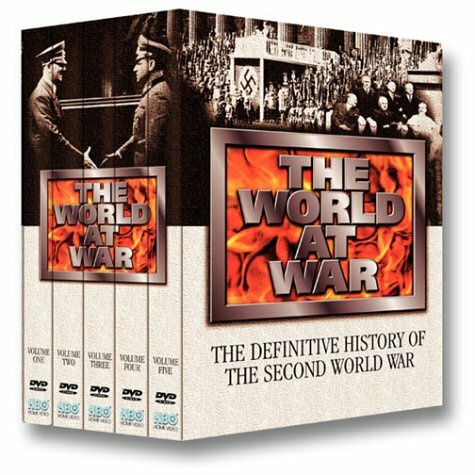 The series is noteworthy for a number of interviews with historic figures from the war (including Karl Donitz and Albert Speer), as well as raw footage from the time, much of which had never before been seen before the series was broadcast. I remember commercials for the documentary series — then available on VCR tapes — being broadcast during local programming when I was younger, and never having seen it, I was thrilled at getting a chance to watch it now. Even thirty-seven years after it originally aired, The World At War remains an excellent look back at the most momentous event of the 20th century. While the documentary definitely has a more dated “look” to it, the content is relevant as ever. For anyone who wants the whole series, it’s also available on Amazon for a great price as well. Since I started my home renovation almost three years ago, I’ve found myself watching a lot of programming on HGTV and their sister channel, DIY. On a lot of these shows, I’ve seen ordinary people — not trained or licensed in home remodeling or repair — tackling a number of hefty projects around their houses and making it look (relatively) easy in the process. But it’s not anywhere near that easy for people to do a lot of that kind of work – something I’ve found out numerous times during my own project. In cases where the job was overly complex, or required skills beyond our capability — like the plumbing or our bathroom tiling jobs, for example — we hired out skilled contractors to handle the jobs for us. When it’s something that’s crucially vital to the safety and security of your home, hiring a professional should be the safest way to go, right? Except it’s not. I’m thankful that the people we hired were tremendously professional and did the jobs they were hired for in a timely fashion and correctly (according to the codes and standards required by the state), but it’s a fact that there are a lot of contractors out there who don’t know what they’re doing at all, or who bite off jobs that are well beyond the scope of what they’re capable of doing — and the homeowners who hire them often find themselves in situations that leave them with structural problems, unfinished jobs, and safety issues — all while costing them ungodly amounts of money in the process. My education as to how prevalent these situations actually are has been coming lately from the HGTV show Holmes on Holmes, the current season premiere of which will air on HGTV Sunday night at 9:00 ET. 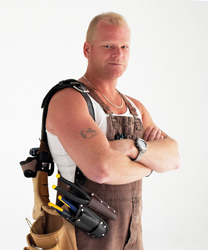 The show, which originated in Canada, follows around contractor Mike Holmes as he attempts to repair and fix botched jobs by contractors who range from the inept to the flat-out unethical. The show has been one of the highest-rated shows on HGTV Canada during its run, and it’s been running almost daily in the afternoon on HGTV the last couple of weeks, where I’ve been able to catch it. Needless to say, the show has been a complete eye-opener. In episode after episode, I’ve watched families whose lives had been driven almost to ruin, whose finances had been all but wiped out, by contractors who either couldn’t — or wouldn’t — do the job properly. There have been examples of contractors who literally stole tens of thousands of dollars from helpless homeowners, often leaving them with houses that were in ruin and — in some cases — unsafe to live in. In every one of those cases, it was left up to Holmes and his crew of workers to fix the problems, with the price tag largely being absorbed by the show and on more than one occasion, Holmes himself. In every one of these cases, the family afflicted hired a contractor who seemed to be the right person for the job. But what I’ve learned over the course of watching the show is that there are far too many people out there who aren’t doing quality work the way it should be done — and that it’s really easy to find yourself a victim of a botched job if you’re not careful. For anyone attempting to embark upon a renovation project who’s looking to hire someone for the job, just watching a few of these episodes could save you thousands of dollars and countless headaches. How easy could it be to fall for a one of these con artists depicted on the show? When my home renovation project was started, the first contractor my wife and I talked to about doing the framing on our extension seemed eager enough to take the job — but he wasn’t able to give specifics on budgeting for material or labor, he wasn’t able to give a clear and concise plan for how the project would unfold, and he was evasive when it came to discussing the needs for permits or adhering to code — all red flags according to Holmes (and to me at the time). We thankfully passed on doing business with this guy, but I had a relative who did hire him for a much smaller job — and who got taken when he took money from her and never did the work. I remember hearing about it and thinking “That could have been us — but far worse”. As thankful as I am that we apparently avoided any mishaps along the way of our renovation, I wish we had known then what we’ve learned since — and that I’d seen a show like Holmes on Holmes way back then. Holmes deserves tremendous credit for shining a light on some of the problems in the building industry, in which the contractors have all kinds of protection within the law, but homeowners have far fewer. 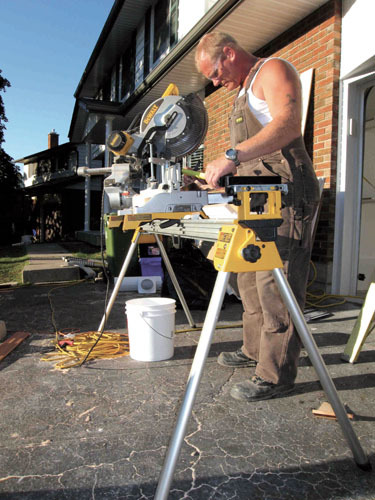 His show is well worth checking out if you have the time — and if you’re thinking of doing a remodeling project. You just may end up saving yourself a lot of money down the road if you do. Some time back, I posted up the Muppets taking on the Queen classic Bohemian Rhapsody — now, we have another gem from the Muppets Studio. It’s Beaker with his rendition of Dust in the Wind by Kansas. 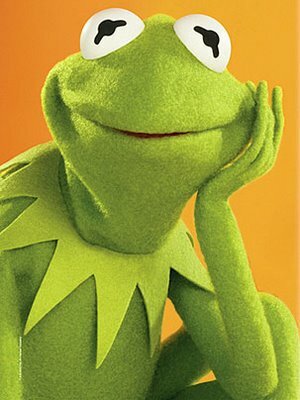 It’s great to see the Muppets still entertaining us after all these years and remaining relevant in the internet age. So how about another full-length theatrical movie starring them? Who’s with me? One of my recent television discoveries was purely accidental. I was flipping through the satellite guide a few weeks back and saw a show called Man vs. Food running a marathon on the Travel Channel. I wasn’t sure what the show was, but the title was intriguing enough, so I flipped over to it. Needless to say, I was hooked, and I’ve now made it a point to try to catch as many of the reruns of the show’s most current season (its 2nd) whenever possible. Tonight, Man Vs. Food will be live from Miami and the Super Bowl with a two-hour special, on the Travel Channel at 9:00 ET, and I’ll be one of the ones watching. 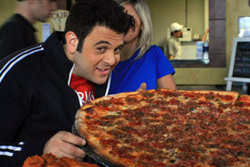 For anyone who hasn’t seen the show before, the premise is pretty simple: host Adam Richman (an actor who has two qualities necessary for a show like this — extensive culinary experience and a hearty appetite) travels around the country, sampling popular local dishes at restaurants, diners, and other eating establishments. We’re not talking about high-brow dishes either — no, the choices on this show’s menu are all American classics: pizza, hamburgers, steaks, chili, sandwiches, and more, often coming with unique compositions or constructions. The highlight of every show is a local “eating challenge” at one of the local establishments in the host city for that week, where Richman tackles a dish that’s often larger than what I manage to put away in a whole day’s worth of eating. I’ve seen the host tackle 12-pound hamburgers, 12-inch, 22-pound stuffed pizzas, a 74-ounce steak challenge, and foods made with multiple Naga Jolokia peppers, certified as the hottest peppers in the world (so hot, that not only are they rated with an intensity of more than 100 times that of Tabasco sauce, they’re also smeared on fences in India to keep away wild elephants). The eating challenges are absolutely staggering in their size and intensity. Normally, I’m not a fan of anything that even resembles competitive eating — there’s something unsettling to me about watching one person plow through a ton of food, while knowing how many people in the world still go hungry every day — but Richman is admittedly not a competitive eater (along the lines of a Joey Chestnut). The challenges themselves, while huge helpings of food, aren’t impossible for the heartiest appetites to overcome. And boy, do they all look tasty — at some point in the episodes I’ve seen, invariably, I find myself heading to the fridge. After now seeing most of the episodes of the show’s two seasons, I’ve made a note to myself to check out some of the establishments spotlighted the next time I’m in any of the cities that have been featured (for the regular dishes, and not any of the monster challenges, of course). 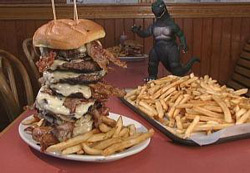 The Man vs. Food episode tonight will see Richman tackle a 48 ounce Steak Challenge. While it’s probably safe to say that none of the dishes you see on the show are the healthiest options for a person’s diet, if you a fan of good food as a guilty pleasure, this show is pretty easy to consume. — Jay Leno is … the bad guy? It’s certainly feeling like that these days. In the sequel to the Late Night War that once saw Leno selected in a then-controversial decision over David Letterman to succeed the legendary Johnny Carson as the host of the Tonight Show, it looks like Leno’s disastrous foray into prime-time will be coming shortly to a merciful end. This occurred after ratings for Leno’s five-night-a-week-suckfest cratered so badly (NBC was expected a ratings hit, but nothing of the magnitude that Leno “delivered”), that affiliates across the country — possibly as many as a quarter of them — were preparing to issue NBC an ultamatum of their own: lose Leno’s show, or be prepared to watch them abandon it themselves for reruns of Seinfeld and whatever else the local stations could program on their own. Faced with an affiliate revolt, NBC had no choice but to pull the plug on the ill-conceived Leno vehicle — but the decision to shift Leno back into the 11:30 EST time slot — and to bump Conan back 30 minutes — has created more problems. O’Brien has rejected the change in time for his own show, and now things are apparently headed for an ugly divorce between Leno’s heir and the network — which will possibly land Conan with upwards of $30 million, and should leave him free from his contract and available to pursue a show at a rival network, possibly FOX. If nothing else, this drama has proven to be more entertaining already than anything Leno was throwing out there, and if early public sentiment is an indication, people are viewing Leno as the heavy (and NBC as the accomplice). 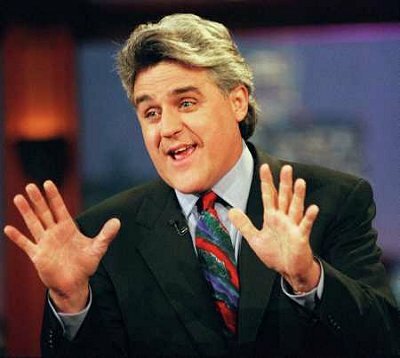 What does it mean for Leno’s ratings, if he returns as the host of the Tonight Show? Probably not a whole lot, but if Conan ends up with a competing show, it’s almost certainly going to be pulling audience primarily from Leno; if you were watching Letterman or Jimmy Kimmel already, you’re likely not going to be watching Conan now — O’Brien’s audience will be what he takes with him from NBC. The clear winner here so far is O’Brien, whose show has seen its ratings increase as this has played out. Long-term, it may be Letterman who sees The Late Show cement itself as the top show in the late-night wars. What can’t be disputed though, is that The Tonight Show isn’t what it once was, and the name doesn’t bring forth the feelings it used to (and hasn’t, even before O’Brien took over for Leno less than a year ago). The Tonight Show that a lot of people grew up with ended when Johnny Carson stepped down — and now, after all of this current turmoil has passed, it’ll be a successor to Carson’s juggernaut in name only. — For me, this week couldn’t have provided a bigger juxtaposition then that of the crisis that’s taking place in Haiti currently and the joke that was a number of Wall Street CEO’s in front of Congress defending, not only their massive irresponsibility in helping create the huge financial crisis we’re still in the middle of, but their own avarice in continuing to pay themselves massive salaries and bonuses, even when having their slimy hands picking the back pocket of the Amercian public that bailed them out. As the horrors in Haiti unfoled, we saw poverty, despair, and destruction at a level that most of us have never seen before. Haiti was the poorest country in the Western Hemisphere — and that was before the massive earthquake of this past week. After this tragedy which has left tens of thousands dead and a country’s infrastructure in complete ruin, Haiti is in desperate need of any assistance it can get from the international community, in a race where every dollar or supply is literally to save lives that are hanging precariously in the balance. Maybe some of that aid could come from some of those Wall Street Rip-Off Artists who showed an amazing lack of remorse over their actions which have crippled a large portion of the U.S. economy. 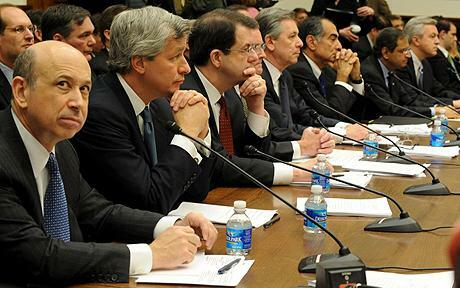 One of those men was Jamie Dimon, chief executive of JPMorgan Chase, who in an incredible understatement said, “We did make mistakes and there were things we could have done better.” You think? That’s on par with Lindsey Lohan saying she’s made some bad personal decisions over the last few years and “could have done better”. Those in positions of power with these mammoth financial institutions — businesses that currently hold far too much influence and control over the lives of the average American citizen — continue to live in a world that has no relation to the one that real people, like you and I, live in — and it’s because of that insulation for the real world and its consequences that we should have no faith that any of them are going to do anything but what’s good for their own wallets — and to hell with the damages they might cause to the general public or the economy itself. President Obama is looking into new taxes on these banking companies as an answer to the latest reports of obscene profits and bonuses paid, but that won’t be enough to change the climate of greed that permeates these companies to their rotten cores. — The announcement came this week that Spider-Man 4 is DOA, and that in its place, we’ll be looking at a complete “reboot” of the franchise, sending director Sam Raimi and stars Tobey Maguire and Kirsten Dunst to the curb. Apparently, disagreements about the future of the film series between Sony and Raimi were too much to smooth over, and the studio has decided to go into a different direction (though still somehow intending to release the next film in the summer of 2012, as originally planned). I’ve got mixed feelings about this news. 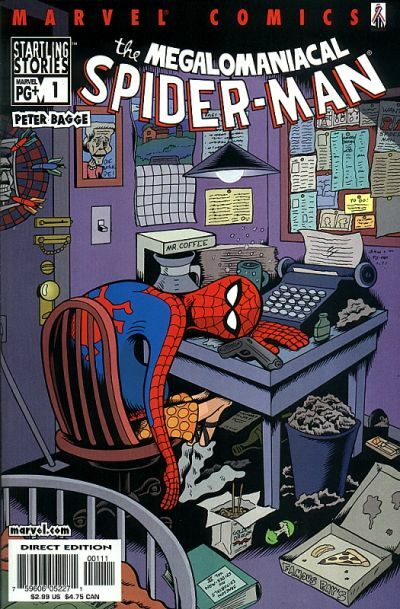 I’d already detailed some of the earlier squabbling between Sony and Raimi and my concerns that the franchise was headed for cinematical disaster. While I blamed Sony initially, now that there’s more details leaking out about the take Raimi wanted to do with the film, it’s starting to look like taking the series away from Raimi wasn’t such a bad call after all. 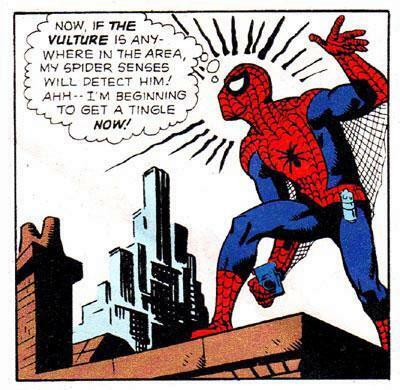 The plot (if you want to call it that) sounded like a bad rehash of the 2nd Spider-Man movie, and it would have in all likelihood been worse than Spider-Man 3 was. But even if you get a new director — and a new star (as Maguire had said he was only interested in returning to the role of Raimi was in the director’s chair) — is that any reason to start completely over again? If that’s Sony’s approach, then it’s going to be a huge mistake; a reboot of a franchise is only necessary if it’s strayed completely away from its core (Batman and Robin) or if it’s been a suitably long time since the franchise began (rebooting Bond with Casino Royale). Neither applies to the Spider-man franchise, which is barely a decade old and, the mediocrity of the third film aside, has stayed as true to the vision of Spider-Man as this huge Spidey fan could have hoped for from a big-screen adaptation. Certainly, there were missed opportunities along the way — and continuity changes for the movies that I wouldn’t have gone with — but, all told, the first two movies were about as good as it gets for superhero fare, and there’s no reason that Sony can’t continue along where the 3rd movie left off. Cast a new Spidey, go with a new villian (Dylan Baker and the Lizard, for example), bring Dunst back for a well-paid cameo and bump her off (paralleling the loss of Peter parker’s first love, Gwen Stacy, in the comics) — and you’re off and rolling. Instead, if the early reports are to be believed, Sony looks to be headed on an ill-advised attempt to cash in on the Twlight-phase and turn Spider-Man into some sort of teen drama. If that’s their approach — and it won’t be surprising, since most movie execs have no respect for the source material or its target audience (which is why Marvel Studios, which does, had such a critical and commercial hit with Iron Man), then they’re going to find themselves with a once-golden franchise that’s been run into the ground. He's a frog, you say? I can't believe it! — And finally, there’s Mark McGwire’s “stunning” revelation earlier in the week that he’d taken steroids during his career — an announcement that, as a friend of mine stated, was about as shocking as Kermit coming out and announcing that he’s a frog. There’s already been a lot of talk about the subject and what it means to McGwire, baseball, and the steroid scandals that have rocked the sport — so there’s not a whole lot I have to add. Suffice it to say, I’m not surprised he admitted it, as in his eyes, doing so represents the only way he can lessen the distraction he would cause the Cardinals this year as a member of their coaching staff — as well as the only way (he thinks) he might still find election to Baseball’s Hall of Fame someday. But if I had a vote, it still wouldn’t be coming to him. It’s my opinion that he still isn’t telling the whole truth about what he used and why he used it, and it’s still clear to me that the whole reason he’s a Hall candidate anyway — the home runs — were in some way fueled by his steroid usage, which makes his entire career output suspect since we’ll never be able to quantify what he would have done without them. I don’t feel a bit sorry for McGwire — who seemed to be fishing for sympathy in his interviews this past week — since he knew the price of taking illegal steroids (or should have known it) when he did so. You lived the life of an sports hero for several years because you cheated, Mark (whatever your excuses might be) — now, you’ve paid the price. As it should be. Enjoy the weekend, everyone — and we’ll see you on Monday for a look back at the NFL playoff games from this week.